I’ve a new story out today! 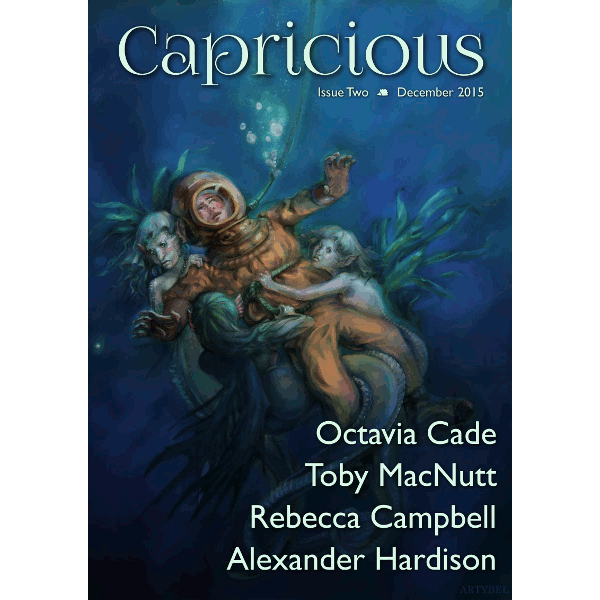 “Bone Length, Wavelength” can be found in issue 2 of Capricious, a new speculative fiction zine from New Zealand. It’s set in the same universe as some of my other stories – if you’ve read “The Mistress of Fishes”, for instance (or listened to it on StarShipSofa) then you’ll recognise the references to Carnival. They’d been marked off, all of them, in the kitchen. On the door jamb, at every birthday, and every generation the wood would be removed to the shed to be nailed up along the wall and there they were, all of them, all of their large and extended family for the better part of three hundred years. All of them but Eli.